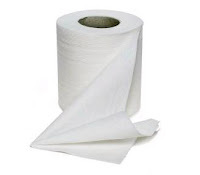 Paper towels - I buy expensive paper towels because they work better and they last longer. I like the ones that rip into smaller squares because I never need a full sheet. Hand soap - I LOVE foam soap. It makes washing Sadie's hands so much easier because it doesn't run off the minute I pump it onto her wiggly little hands. Plus, it smells so good! Campbell's soups - I don't really have a reason for this one but whenever I need a can of cream of mushroom, I usually navigate towards the red label. I realize there is probably no difference between Campbell's and the off-brand except for Campbell's easy pull off lid. Toilet paper - I like the thick soft stuff. You know, the stuff that costs way more than the cheap stuff. Blake was with me when I bought our last supply of toilet paper so I picked out something cheaper. I have hated it! The rolls are tiny and I'm not pleased with it's performance. Crackers & chips - I do believe there is a difference between name-brand crackers and chips compared to their off-brand knock-offs. They simply don't taste as good. Garbage bags - I go for the expensive scented ones. So far, I have never had a bag rip on me. That is a blessing when you're dealing with diapers. So what about you? Are there any home products that you like to splurge on? It is a must have at our house to have the expensive toilet paper and paper towels. Totally worth the extra money! i go for the fancy tp too! they provide free stuff in the utility rooms but oye vey!! its like using your bare hand! such business should never be conducted in that manor! Hey Lindsey I enjoyed your blog page. IT is great and has given me some ideas for mine (which is very new and lacking) I am a cheapo when it comes to name brand things but I definatly HAVE to have Breyers Vanilla ice cream (none of this gallon store brand junk)I kind of feel like if it is frozen it needs to be name brand for some reason....wierd I know. As for TP and Paper towels I am right there with you...as for cleaning supplies I have found that many of the cheaper ones work better. try "the works" for that mineral deposits in your toilet...it really "works"
Hey, I love your page, it's so cute. I am a name brand person. It extends into my wardrobe too. I can't buy jeans from old navy or target, I spend way too much on them instead. Q-Tips. I used to think that there wasn't a difference but there is. Regina - I forgot about ice cream! I am the same way! I am a lover of Breyer's too! It is totally worth the extra dollar! Bill Marriott got me hooked on the B&BW orange ginger shampoo.